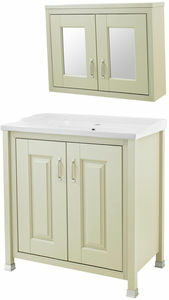 Old London Furniture > 800mm Vanity & Mirror Cabinet Pack (Pistachio). 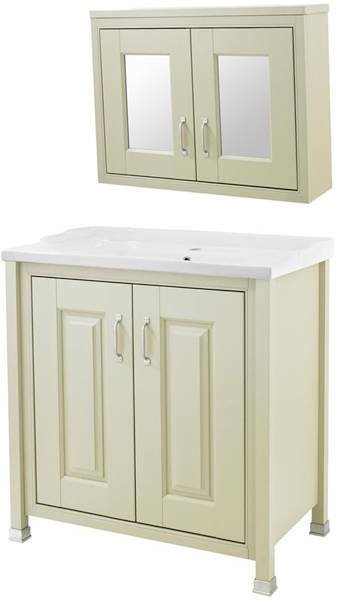 Old London traditional 800mm vanity unit with ceramic basin and 800mm mirror cabinet (bathroom pack 5). The natural, earthy tone of Pistachio coupled with the distinctive satin nickel handles, will bring a warmth to any bathroom. 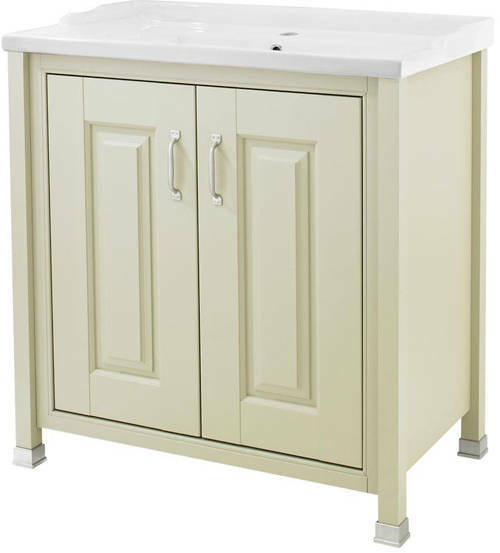 Vanity unit size: 800W x 843H x 460D mm. 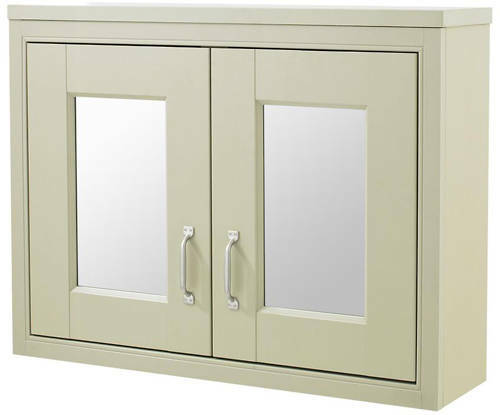 Mirror cabinet size: 800W x 600H x 205D mm.